Laminate flooring is an extremely reliable flooring option that can mimic the look of stone, wood, or ceramic floors at a very affordable price. This flooring type consists of multiple layers of synthetic flooring products that are fused together through the process of lamination. Art Z Flooring and Decorating, a top provider of flooring installation services to the Chicago area, provides and installs many styles of laminate flooring. We will help our clients choose a style of laminate flooring that works with their home and manage the entire installation process. Back Layer: For support and stability, may have moisture resistant elements. Core Layer: High-density fiberboard with resins infused for strength and impact resistance. Decorative Layer: The visible layer that creates the look of wood, stone, or tile. Wear Layer: The clear, outer protective layer that absorbs impacts and resists stains. Very affordable flooring option with the look of natural wood or stone. Strong, durable, and water resistant; also scratch resistant. Resistant to stains and sun fading. Can be installed anywhere within a home, not sensitive to seasonal change. Regularly sweep or vacuum the floor and mop once or twice a year. Clean up all spills immediately with a damp washcloth. Put protective pads under all furniture legs. Put doormats near all entrances to help keep dirt, dust, and other debris from getting tracked inside. Do not polish, sand, wax, or lacquer the floor. Laminate flooring is one of the easiest flooring types for DIY installation but it is still generally recommended to have a flooring professional such as Art Z Flooring handle the installation. Our professionals are highly trained to install laminate flooring as well as the molding, glue backing, and underlayment if required. We begin our installation services by helping our clients decide on a flooring type that best suits their home and budget and then manage every step of the installation process. 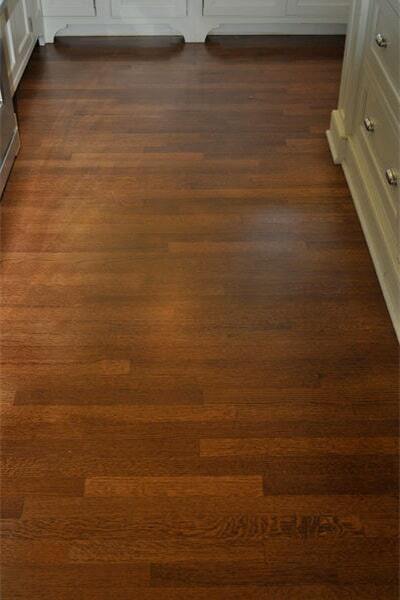 Art Z is one of the most trusted flooring installers in the Chicago area. Contact Art Z to learn more about our available laminate flooring options and installation services.